The best index funds have low expenses and diversified portfolios that can stand the test of time. But not all index funds are diversified and some are not ideal for long-term investing. Because there is a wide variety of index funds to choose from, it's important for investors to understand with index funds are best for their needs. In recent years, a large number of index funds and exchange-traded Funds (ETFs), have hit the market and many of them are not ideal for long-term investors. Many of them focus on just one narrow sector, such as biotechnology, social media, or master limited partnerships or MLPs. These narrowly focused funds can put up big returns in the short term but they can also see big declines. They also tend to have higher expense ratios than most other index funds. The best index funds for most investors, however, are broadly diversified and cheap. So without further ado, here are some of the best index funds you can buy for long-term investing. One of the most popular kinds of index funds invests in the S&P 500 index, which is an index of stocks representing about 500 of the largest companies in the United States, as measured by market capitalization. Vanguard 500 Index (VFINX): This mutual fund is the first index fund available to the public. It brought to life the idea of Vanguard Investments founder, Jack Bogle, who studied markets and noticed that most investors and professional portfolio managers were not able to beat market averages in the long run, especially after factoring in expenses. Therefore, by simply buying a low cost mutual fund that is a basket of stocks found in the index, investors could capture reasonable returns. VFINX has an expense ratio of just 0.16 percent and the minimum initial investment is $3,000. Fidelity Spartan 500 Index (FUSEX): Fidelity's size, experience with indexing and desire to compete with Vanguard combine to make their index fund offerings second only to Vanguard's. Often the index funds between the two giant rivals are indistinguishable in terms of expenses and performance. Ultimately, the competition creates higher quality funds for the investor. For example, FUSEX holds the same stocks as VFINX but at a lower expense ratio of just 0.10 percent. The minimum initial investment is also lower at $2,500. 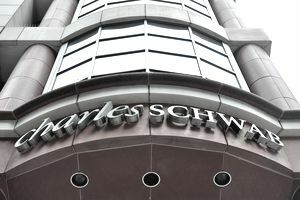 Schwab S&P 500 Index (SWPPX): Charles Schwab has made a conscious effort to provide more than just discount brokerage service to investors: They have dipped deeply into the index fund markets of Vanguard and Fidelity. In recent years, the discount broker has lowered their expenses to compete head to head with Vanguard and Fidelity. The expense ratio is a low 0.09 percent for SWPPX and the minimum initial investment is only $100. Vanguard Total Stock Market Index (VTSMX): The fund is the biggest mutual fund in the world for a reason. Vanguard is the original indexer and VTSMX is among the first index funds to capture the total market. With an expense ratio of 0.18 percent, VTSMX makes a solid core holding for any mutual fund portfolio. The minimum initial investment for VTSMX is $3,000. Schwab Total Stock Market Index (SWTSX): With an expense ratio of 0.11 percent, it's tough to beat SWTSX unless you qualify to get lower expense ratios with one of Vanguard's Admiral Shares funds.Like most other Schwab funds, the minimum initial purchase price for SWTSX is a very affordable $100. If you're a long-term investor, and you don't mind seeing market fluctuations and your account balance going up and down in the short term, you might find aggressive stock index funds attractive. Vanguard Growth Index (VIGRX): This fund invests only in large-cap stocks that have growth potential, which makes it a bit riskier but also potentially more rewarding in the long run than S&P 500 Index funds. The expense ratio for VIGRX is a low 0.22 percent and the minimum initial investment is $3,000. Fidelity NASDAQ Composite Index (FNCMX): The NASDAQ Index consists of mostly large-cap stocks but many of them are technology and health stocks that tend to have greater long-term growth potential than broad market indices. So if you don't mind the added risk for the extra long-term return potential, you'll like FNCMX. The expense ratio is 0.29 percent and the minimum initial investment is $2,500. Vanguard Mid Cap Index (VIMSX): Perhaps the best way to give yourself a chance to beat the S&P 500 index is to buy an index fund that invests in mid-cap stocks, which have historically performed better than large-cap stocks. Mid-caps are also less risky than small-caps, which makes VIMSX a rare exception that invests directly in the "sweet spot" of higher returns but without extreme risk. The expense ratio for VIMSX is 0.20 percent, or $20 for every $10,000 invested, and the minimum initial investment is $3,000. Bond funds are appropriate for nearly every investor to have a diversified portfolio of mutual funds and index funds are an ideal way of capturing a large portion of the bond market in just one low-cost investment. The total bond market index usually refers to index mutual funds or Exchange Traded Funds (ETFs) that invest in the Barclay's Aggregate Bond Index, also known as the BarCap Aggregate, which is a broad bond index covering most U.S. traded bonds and some foreign bonds traded in the U.S.
​Vanguard Total Bond Market Index (VBMFX): This is the biggest bond index fund in the world, in terms of assets under management, which means it's the favorite of do-it-yourself investors and the majority of fee-only advisors as well. When you buy shares of this bond index fund you get exposure to the entire U.S. bond market, which is thousands of bonds, spanning several types, including corporate bonds, U.S. Treasury bonds, short-term bonds, intermediate-term bonds, long-term bonds, and more. The expense ratio is just 0.16 percent and the minimum initial investment is $3,000. Fidelity Total Bond (FTBFX): This broadly diversified bond fund is similar to Vanguard's VBMFX; however it has more flexibility in balancing risk and reward. In translation FTBFX can hold more high-yield bonds, for example, and possibly capture greater long-term returns as a result, as compared to VBMFX. The expenses are a bit higher at 0.45 percent but the added expense for an index fund can be worth it. The minimum initial purchase is $2,500. If you're looking for an ideal way to have a diverse mix of stocks and bonds in just one mutual fund, the best way to do it is with balanced index funds. Vanguard Balanced Index (VBINX): This fund does a great job of keeping costs low and balancing risk and reward over the long term. The asset allocation stays at approximately 60 percent stocks and 40 percent bonds, which makes it appropriate for investors looking for moderate (or medium) risk. Long-term returns have been attractive at nearly 7 percent, as measured by the 15-year annualized returns through 2016. The expense ratio is low at 0.22 percent and the minimum initial investment is $3,000. There are other balanced index funds but none that can beat Vanguard's combination of low cost and long-term returns.